I have written earlier about Moammer Gaddafi pulling out of Libya too late and also a bit about the mistakes he had made. Well, it turns out he did not have enough friends to accept him and apart from that, he never really wanted to pull out of Libya anyway. Therefore, he lurked around his hometown of Sirte and was brutally murdered, or executed if you will, after public humiliation on October 20, 2011, which went on till his funeral in an unknown place. Maybe that’s how he thought he would have died honorably. But I have my doubts. This brings to light even more lessons. One thing is for certain. 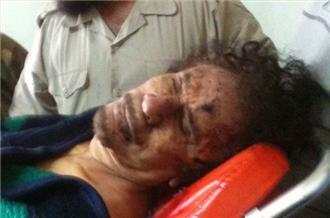 Gaddafi was the architect of his own ill fate and if you ask me, it was he who chose his way of death. Now consider this. While you may consider Machiavelli evil, there is almost a consensus on his unmatched understanding of politics, as writers and political advisers in history go. Unfortunately, not many dictators are able to keep all that wisdom in mind. From a report in The Time Magazine, the Chinese version of this quote, though said a lot earlier, from Laozi was the favorite of Pakistani dictator Pervez Musharraf, the then new front line ally of the United States, in its July 22, 2002 issue. Musharraf had had this quote inscribed on a plaque adorning his residency in Rawalpindi, according to the report. There is a good reason why Machiavelli and Laozi said this. These dictators may have these quotes inscribed on a plaque or may sleep with a copy of The Prince underneath their pillows, but they often forget the wisdom when the moment of truth arrives. A relatively smart dictator like Musharraf did well as far as studying political retreat strategy is concerned but I don’t think Gaddafi really had any concept about it whatsoever, not that I am underestimating his abilities. The moment your people stop fearing you, you cease to be a dictator. This goes to show just how delusional Gaddafi was. As I have maintained before, he was probably the bravest of the international leaders, but yet he was delusional to the extent of being suicidal. The longer he stayed in Libya, the greater became his chances of being lynched to death by a crowd. And that is precisely what happened. He had the option of giving himself up to the Western powers had he been interested in living for long. He also had the option of shooting himself before arrest, as we are told that Adolf Hitler did, but he chose not to do that either. As I wrote before, his perfect diagnosis was being stuck in the middle of being scared of losing his throne and being scared of losing his life. His son Mo’tassem Billah Gaddafi was also murdered by the rebels. Looking at their end, his other son Saif-ul-Islam has announced that he would be ready to face the International Criminal Court for crimes against humanity. Maybe a smart move. As for the rebels, while some people would have disapproved of his murder like that, but expecting anything else would be a little too idealistic and unrealistic. That is swift “justice”, if you will. Who has the time for trials for crimes against humanity? They knew he was guilty and instant justice was served, the revolutionary style. The rebels celebrated and the photographs of the killed Gaddafi, which I bet would have been far more gruesome than those of the dead Osama Ben Laden, were making headlines in the mainstream media around the globe. The Libyans were celebrating, as they should. The rebels were ecstatic. President Obama said that Gaddafi’s death was a warning for the iron-fist Arab dictators, probably passing a hint to Syria’s Bashar Al-Assad. Surprisingly, in fact not surprisingly, some publications around the world, which otherwise have a pretty “liberal” record, published celebratory headlines on Gaddafi’s death. Still, there are a few who have been disturbed by the images of the incident. While it was a moment to celebrate, it was also encouragement to people around the world to kill the leaders they do not like once they get their hands on them. Not that anything is wrong with that. It is justice after all. But many of them would be upset and outraged if many other of the world leaders, who have committed similar or even worse crimes against humanity than the Libyan dictator, are brought to a similar end. I wonder if he we have more bloody coups and revolutions waiting to happen. And more dictators dying a bloody death. As I said in my earlier posts, if you are upset at it, think of the Romanovs. Smart dictators around the world still have a choice to make. Repeat Gaddafi’s mistakes and you would be writing your own ill fate. 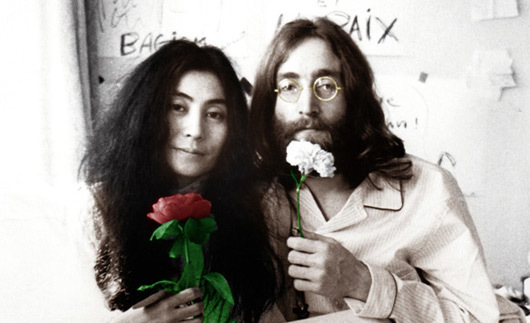 People like John Lennon remind you of the prominent peace activists of the last century who have changed a lot of minds. I sometimes wish I had lived in the 60s and the 70s. At least it was fashionable to root for peace back then. Now, after all these years, do you see the same number of peace protests while we still have all the wars? People look at you as if you are a moron if you talk about peace. Maybe it is just me or maybe the world has become a much more realistic place than it used to be. As a matter of fact, the world has become more prone to violence and wars. The economy is in turmoil, class inequality is at its worst, unemployment except for a few countries in the world is at record levels and what else. The modern world has becoming the breeding grounds for intolerance in the age of information, despite the age of information. There is terrorism, yes. But that is what the terrorists do. The terrorism is further spawning violence and intolerance to the extent that sometimes it seems we are approaching a point of no return when it comes to acceptance. The terrorists are turning all the people into terrorists in their own domain and that is the most terrifying thought. The world needs the hope for peace again. But who wants to be crucified again? Making an effort for Peace. This is something you can never achieve by distributing the Nobel Prize for Peace every year and make a mockery of it. However, people like John Lennon can do it in this way very effectively. Wars cost a lot of money. Peace costs nothing. Today, on Lennon’s birthday, here is the song that I am reminded of again and again. It is a good description of our world and of ourselves. None of us really wants to, it seems. Happy Birthday John Lennon in no Hell below us. Woke up to the terrible news of the demise of Steve Jobs, arguably the most innovative and brilliant entrepreneur of our times. His works have been monumental in computer technology and probably he is greatly responsible in part for starting the revolution which has made it possible for you to read these lines right now. While Steve Jobs made record revenue and profits for his organization, as anyone in his place should, he is an inspiration for much more than that. 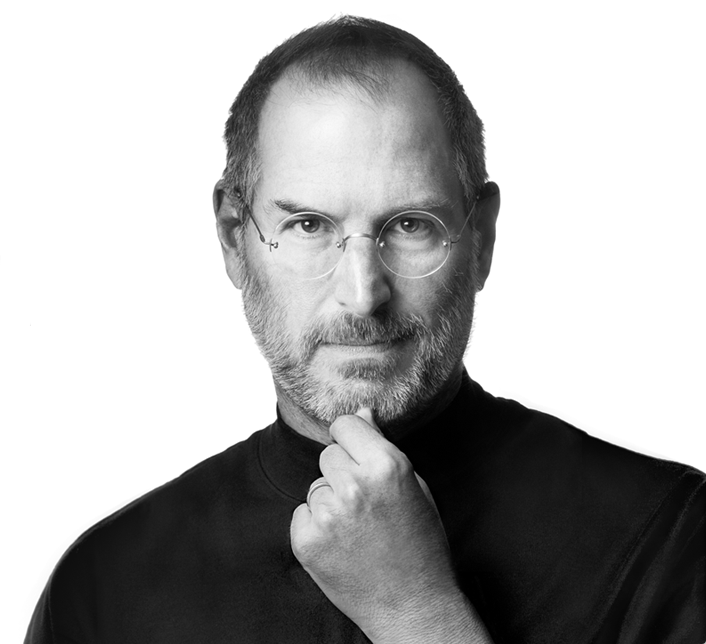 His impact on the modern day technology, from software and personal computers to tablet computers, from mobile phones to portable digital music players, is immense and hardly needs any mention because then the post will look more like an Apple ad. But his creations were mostly about design and utility. No nonsense. That is one marketing lesson. For a man who talked frequently about death, he certainly knew how to live and showed that to everyone else by example. I am deeply moved by his death and most of all, of his attitude towards it. It is hard to be strong when you see death coming your way. It is remarkable if you defy the fear of it and go on to live the way you love. The following piece offers a great insight into his life. It is only fitting that Steve Jobs be allowed to complete this post himself, as his words will surely be remembered in history as great and inspirational. His philosophy was that we are here to put a dent in the universe. He has certainly put a dent in the history of human civilization. Advances that must be recorded for the generations to come. The following is the text of his commencement address at Stanford University delivered on June 12, 2005, which can be found on the official Stanford University website here. The text says it all. It is overwhelming, personal, emotional, engaging, strong and most of all, effective. It is being shared all over the internet today, in tributes and in news. It tells a remarkable story of a remarkable man and offers lessons in each phrase for anyone willing to take them. It is never too late. But here is the greatest lesson of all from the man. Thank you, Mr. Steve Jobs. I am often ridiculed, actively or passively, by sane people from all walks and dimensions of life, the realistic, the materialistic, the god-fearing ones, the godless ones, the believers, the skeptics, the patriots, the traitors, the scientists, the witch-doctors, the zealots, the nihilists, the politicos, the sophisticos, the councils of war and the councils of peace, for admiring Gandhi. Almost all of them either consider Gandhi evil or an idiot. I would still admire him if he were one or both of the two. These two things have been pretty fashionable ever since the man had lived and died on the planet, that is, admiring Gandhi and hating Gandhi. The greatest thing about this phenomenon is that it is not confined to any particular nation, religion or race. If you think otherwise, you have probably missed a lot of things. 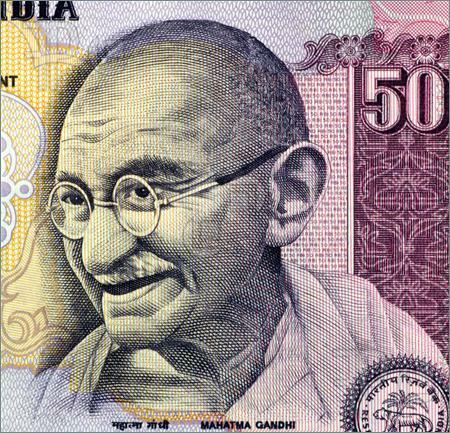 Don’t be impressed by the fact that the Republic of India admires and follows Gandhi just because she has his portrait on her banknotes. They are anything but his followers. I don’t blame them. No one is. At least not a state. Besides, they would not be able to run the kind of state that they want if they ever were to follow him. Maybe there are Gandhi’s followers in India, I cannot say for sure of course, but what I know of is that they do not matter. They surely don’t matter elsewhere. I do not want to indulge myself into admiring Gandhi blindly. As Gandhi himself despised blind faith in anything. You must question your faith, he said. Doubting him and his apparently insane beliefs, probably he was responsible for many deaths, probably he was not at all. But then again, you can say that about most of the notable personalities in history responsible for creating and starting new religions, new political or apolitical movements, new ideas, philosophies and revolutions. But what I know about it is that I cannot do what he did. I can never do what he did, neither I think anyone else can. It was superhuman to show what he showed. It is one thing talking about it and another actually doing it. I am talking about actively practicing non-violence and leading by example. Try doing that, and it is not just that you should claim to be a Satyagraha guru by not killing even a fly, but establishing a coherence of your beliefs and your opinions about the world with the concept. Try doing that. It is not easy, believe me. We all know that Gandhi did not do that overnight. He never could have attained it effortlessly. He was not a Prophet from the Bible. He was a Prophet from the ruthless world that we know of. This is why it is so difficult to follow Gandhi. I have said it before and I will say it again, in some other way. Now why would someone hate Gandhi, you would ask. People like violence. People actually love violence. Not everyone, but a lot of people. They have to. If they hate violence, they love it being used on those who resort to it. It is not really a pathetic generalization, though it could be taken to be one, but it tells you of an unavoidable fact. Perhaps that is how the fittest survive. This is exactly why people think twice before becoming Gandhi’s followers, which they never become in the end. Of course, Gandhi would have had a lot of temptation on the cross himself. He himself would have wanted to smack the people to death who wanted to smack him to death, but he didn’t. It does not matter if he was planning to do it. He didn’t do it and that is all what history cares about. So while I cannot possibly be Gandhi’s follower no matter how peaceful and non-violent I may pretend to be, I can always be his admirer. Actually most people are his admirers. However, even his admirers are horrified by the man. This is why I consider it necessary to at least acknowledge what the man did. This much he deserves. He could not have possibly driven the British out of his native land. But he surely showed the world, what others could not. Practicing non-violence. That is greater than creating any number of countries. There have been many others, but none with an impact as he had on the world. However, it was a little impact. Nobody, not even history, remembers someone who had nothing to do with wars, who disapproved of them and who would want to keep a good distance from them. Greater impact than him was of the Manhattan Project, his admirer Albert Einstein’s letter about it to President Roosevelt, and of all people, of Fuehrer of the Third Reich, Adolf Hitler. The greatest than all of them combined perhaps, the impact of the Bomb. Some admirers would say that if Gandhi were the Christ of the age, Hitler was the Anti-Christ. But that is not really correct. The Anti-Christ has always been here. It is you and I. We celebrate the International Day of Non-Violence today, as declared by the United Nations in honor of Mohandas Karamchand Gandhi on his birthday. Celebrating this day is as hard as following him.